Operatives of the Economic and Financial Crimes Commission (EFCC) on Thursday stormed Ado-Ekiti, the Ekiti State capital and seized some choice properties allegedly owned by former Governor Ayo Fayose, The Nation has reported. 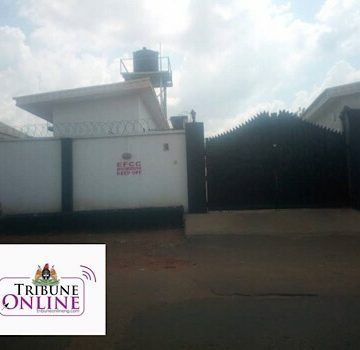 Some of the properties allegedly owned by Fayose and sealed by EFCC operatives include a hotel and event centre at Fajuyi area, two houses located at government Reservation Area (GRA) and a radio station People’s 104.1 FM and a two-storey building in Okesa area of the town. The EFCC officials decked in their red jackets were seen at about 10.35 am placing a sealing order on the properties at Okesa/Fajuyi area. The official seal pasted on the said properties read: “Order from EFCC: This structure is under investigation, keep off”. 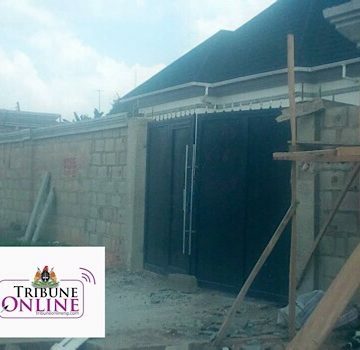 It will be recalled that two houses allegedly belonging to Fayose were sealed about one month ago by the state Ministry of Urban and Physical Planning for not having approved plan. Members of the Ahmadiyya Muslim Society also staged a public protest against Fayose at the weekend accusing him of illegally acquiring a parcel of land belonging to the group to build a filling station for his son. Fayose is presently standing trial before a Federal High Court in Lagos where he is facing a charge of money laundering on the alleged receipt of about N2 billion from the Office of the National Security Adviser (ONSA). The cash was allegedly received from the former NSA, Col. Sambo Dasuki (rtd) to finance Fayose’s 2014 governorship campaign. 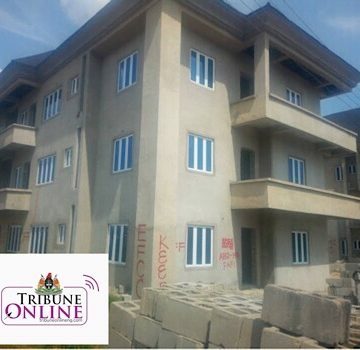 But Fayose has accused the EFCC of sealing houses belonging to innocent people in the State, under the guise that the houses were linked to him. The statement read: “Just been informed that operatives of the EFCC in collaboration with the APC government in Ekiti are going about sealing houses of innocent people in the state, under the guise that the houses are linked to me. “It is only in our country that an anti-corruption agency will first go about sealing houses before determining the ownership, which can be done so easily by visiting relevant agencies. “The EFCC is advised to stop going about looking for ways to malign my person just because of their hatred as a result of my uncompromising stands on national issues.